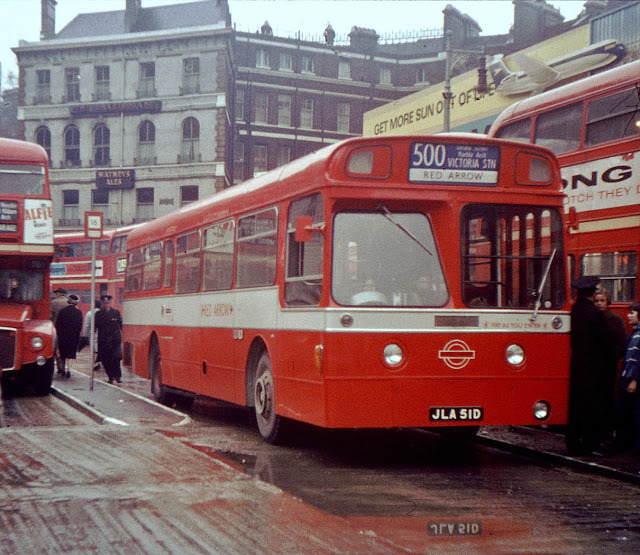 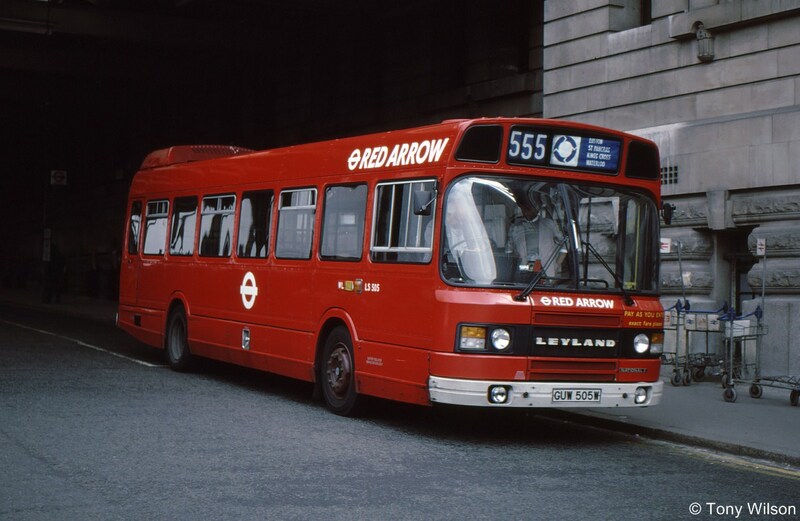 On the 18th April 2016 it will be 50-years since the first introduction of 'Red Arrow' services in central London. 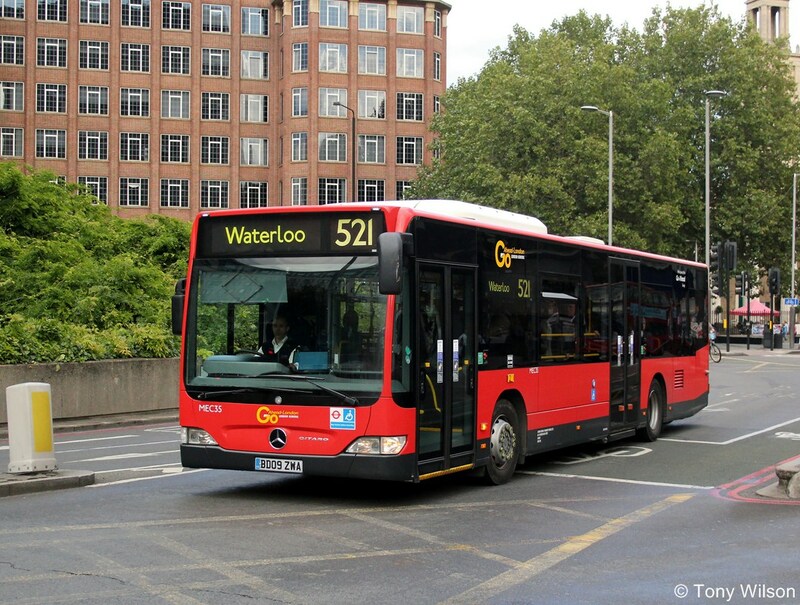 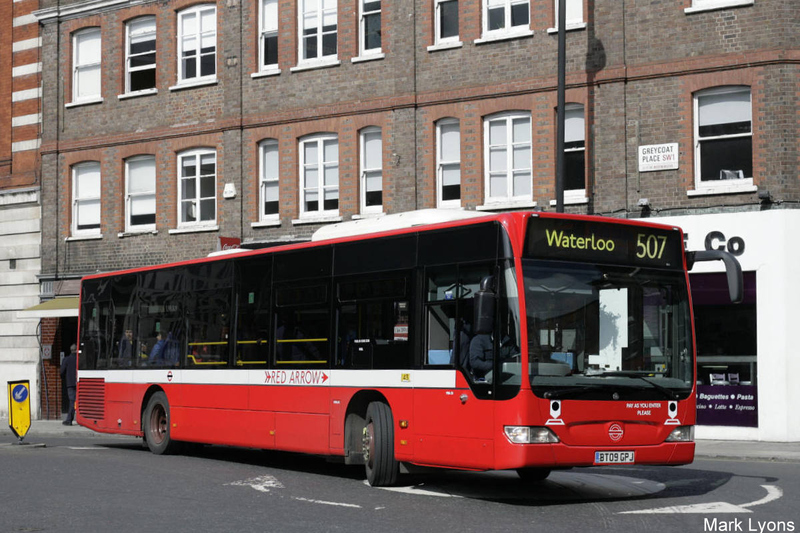 To mark the event one of the current Mercedes-Benz Citaro single-decks has been outshopped in a representation of an early livery and renumbered by Go-Ahead London General from MEC 50 to MBA 50. The first route was introduced by London Transport and operated with six Strachan bodied AEC Merlins and ran in the peaks between Victoria Station and Marble Arch. 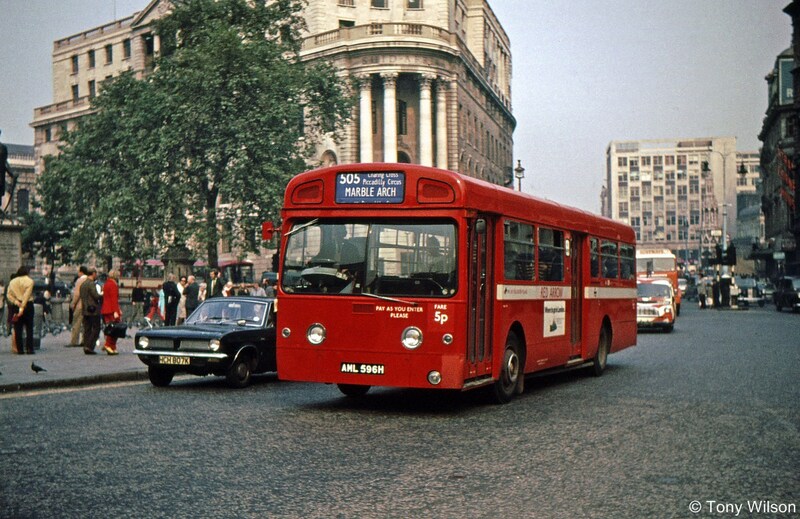 Off-peak it ran further into the West End as a shopper bus. Initially these were assigned fleet numbers XMS 1-6. 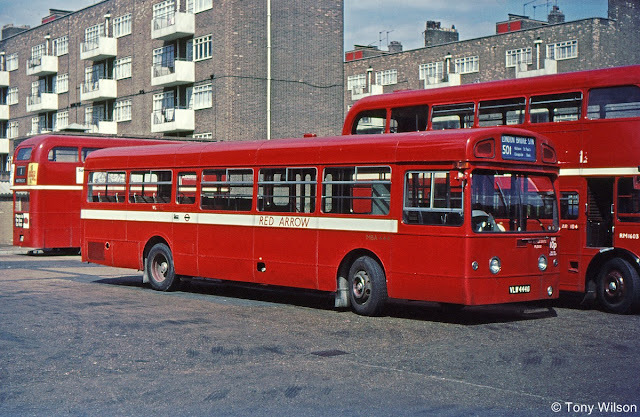 From 1967 onwards a fleet of 54 AEC Merlins with bodywork supplied by Metro-Cammell Weymann as the MBA class served the growing number of Red Arrow routes. 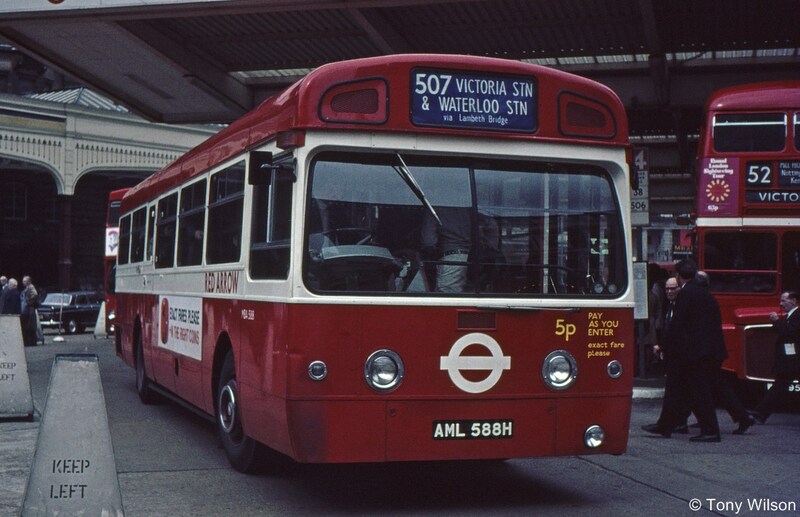 Eventually these were numbered 500-511, 513 and 521. 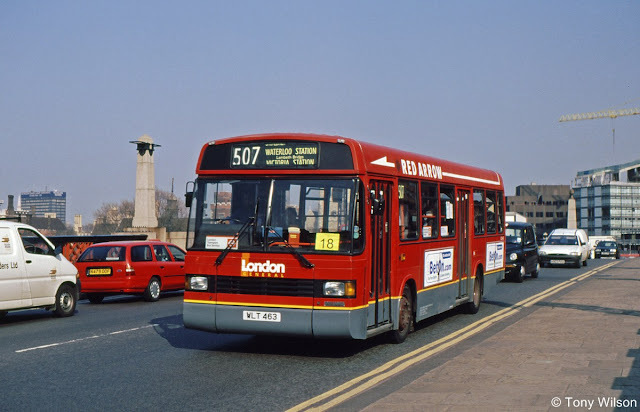 During the early 1980s as the reliability of the AEC Merlins decreased they were replaced by a fleet of 69 Leyland National 2s as LS 438-506 for the routes which by now included a 555 that served most of the London mainline railway stations. After privatisation and in order to extend the life of these buses, they were given a 'Greenway' refurbishment between 1992 and 1994. 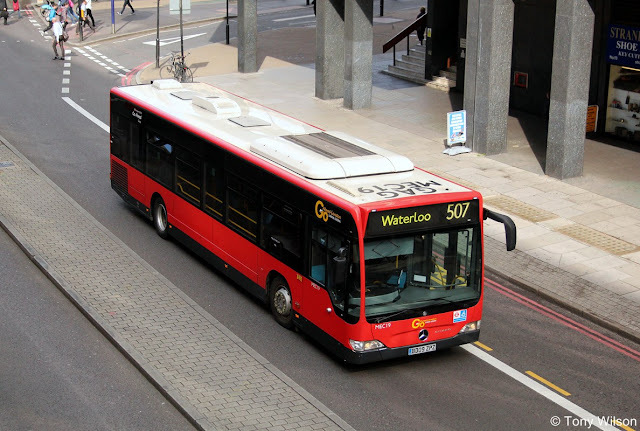 But probably the most radical change came in 2002 when a fleet of MAL class 18-metre long Mercedes-Benz Citaro G articulated single-decks took on the routes. 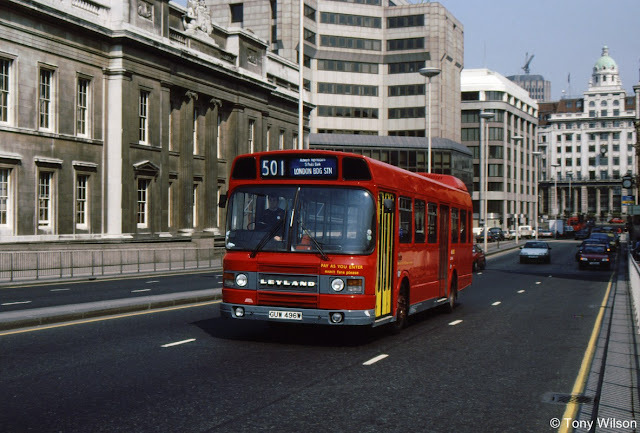 However, they were not deemed successful in certain circles and after much pressure were later replaced in favour of 50 rigid versions, MEC 1-50 from the same stable. 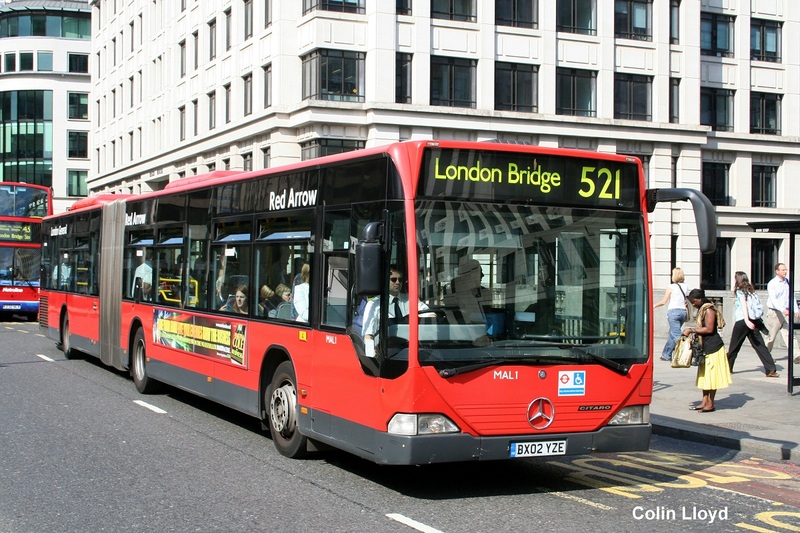 By now in the hands of privatised Go-Ahead London General has trialled four environmentally friendly single-decks. In 2013 came two BYD K9E e-Bus as EB1 and 2, followed in 2015 by Ei1 and 2, two Irizar i2e. 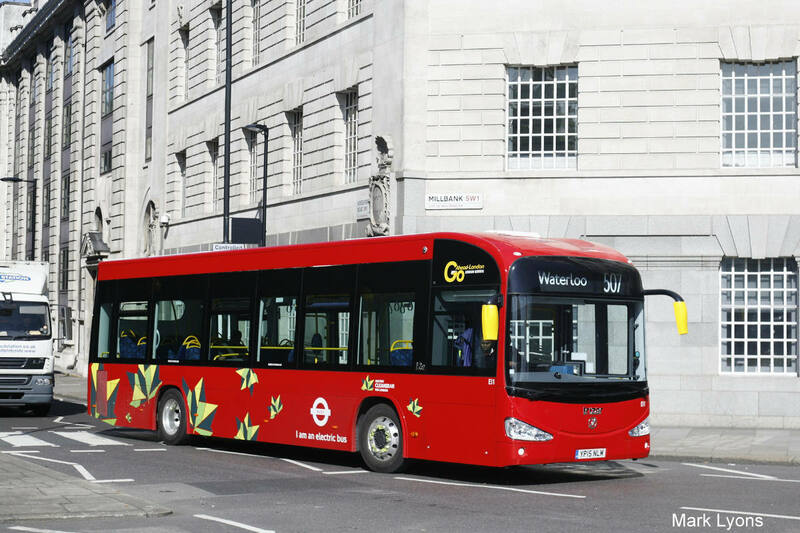 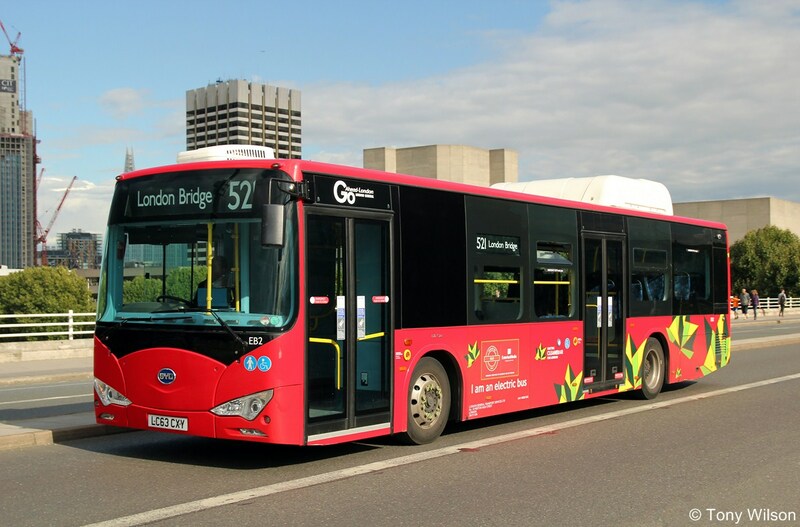 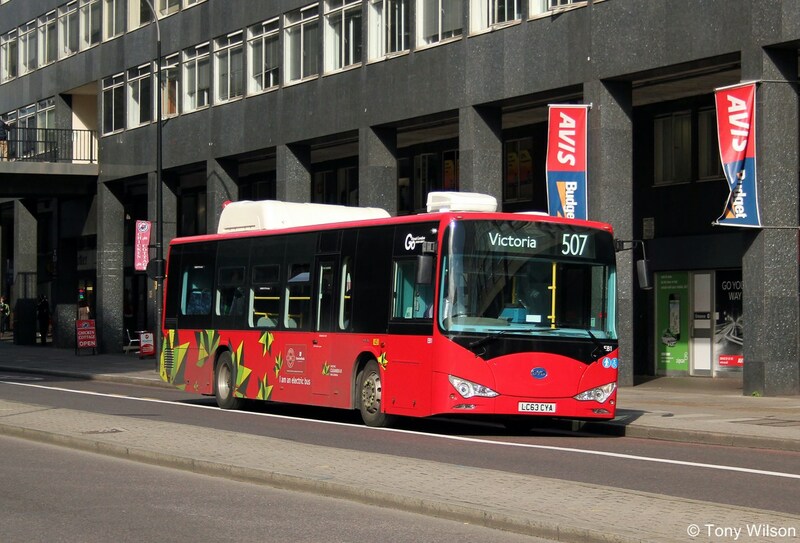 However, later in 2016, when the new contract assigned by Transport for London to London General commences, it will be a fleet of new BYD single-decks that will operate the route. 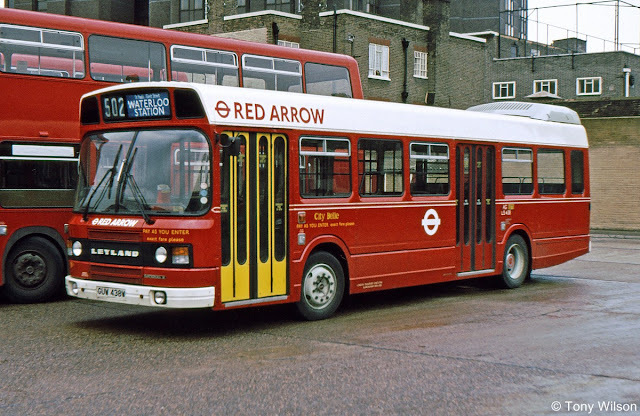 Now in chronological order a selection of images to show how the 'Red Arrow' network evolved and changed over the past 50-years.